This photo is courtesy of usatoday.com. The outfield for the start of the 2019 season will look identical to the 2018 season. Ronald Acuna Jr. in left, Ender Inciarte at center, and Nick Markakis in right. Also, Adam Duval is the current fourth outfielder after a mid-season trade from last year. 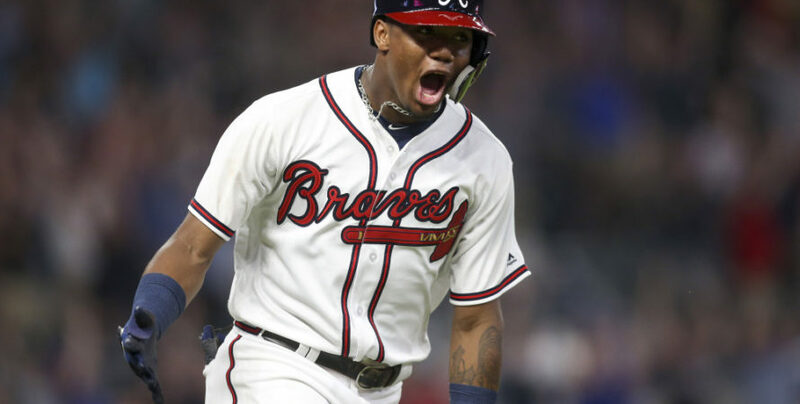 Although Duval did not perform well with the Braves last year, many within the organization believe he can turn things around and be a productive pinch hitter coming off the bench late in a game in 2019. While the start of the season will look the same, there are many moving parts, especially when forecasting what the outfield will look like in a couple of years. While the outfield is solid currently, there are two prospects that have the potential to be special. Those would be Christian Pache and Drew Waters, both age 20 and are able stick in centerfield. While they have many similarities, there are differences as well. Waters is a switch-hitter who has power from both sides of the plate. He also has plus speed and many scouts believe he can be a 20-20 player. That means he can hit 20 homeruns and steal 20 bases during one season, which not many players can do. His speed allows him to be a plus defender in addition, and he can play all three outfield positions with his good arm strength. Pache might be the best defender in all the minor leagues. According to MLB.com, he has a 70-grade defense tool, on the 20-80 scale, and a 70-grade run attribute. Many people within the Braves organization believe he could have been called up last year just on his defense alone. He is also no slouch at the plate. The problem is that he just does not hit for very much power. He hit .279, but only hit 9 homeruns with an OPS of .717 across High-A and AA last season. Yes, he was only 19 years old, but the offensive development needs to improve for Pache to be a major league contributor in the coming years. One wildcard candidate to consider is Austin Riley. Riley is the Braves’ closest position prospect to make it to the majors. He probably would be with the team if not for the success last season. He plays third base, but there have been some rumblings that they could move Riley into the outfield at the start of the season to learn the position. While a doubtful long-term consideration, it is worth keeping an eye on for now. There are a few trade candidates that have been linked to the Braves in the past year or so. These include Mitch Haniger and Nick Castellanos, among others. Both are young, have experience, and are cheap for this year. Haniger is still under team control for three more seasons after this one, and he is making a measly $575,000 this year. The Seattle Mariners have already expressed their desire to trade away players for prospects to rebuild their farm system. That seems like a perfect fit for the Braves. They have an excellent farm system with plenty of prospects to trade away. The problem however is that the Mariners want a massive haul, and understandably so. 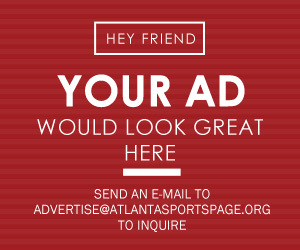 With his low salary and great team control still available, the asking price has been higher than what the Braves have been willing to give up. Maybe the demands will decrease after the start of the regular season begins. Castellanos is a bit different than Haniger. While a year younger, this is the last year of his team control, making him a free agent at the end of the season. He is earning less than $10 million this year, but with teams knowing he can walk and test free-agency, many have been skeptical to trade away a lot of top prospects for him. The Braves have that luxury to trade. The current injury problems to the pitching staff have made talks less appealing to the front office, however. Also, he plays in the American League where he can DH as well as play the outfield. The Braves do not have that ability, so Castellanos would have to play defense daily. While he can, he is not the best defender, and historically the Braves do not sacrifice defense for a couple more homeruns every year. The biggest question about Castellanos is how much does the front office value defense verses the added offense he will bring? Many fans hope another move will occur before opening day. The problem, however, is that there have been no signs of that coming to fruition. 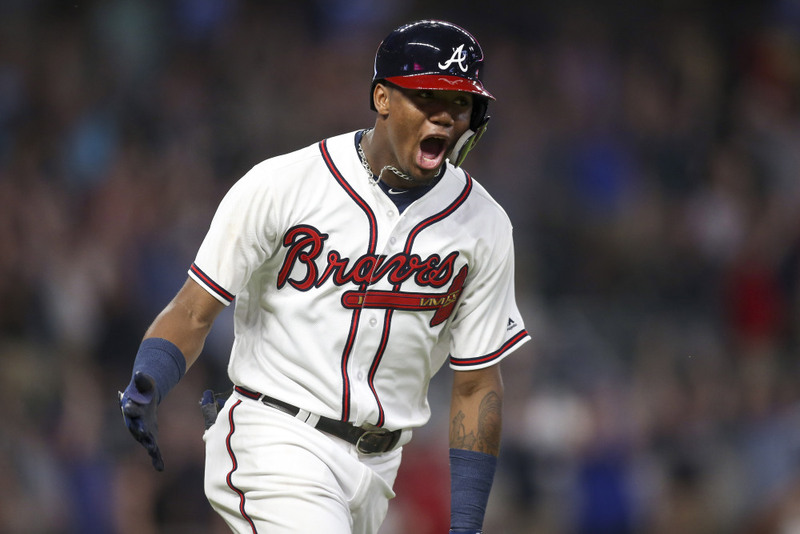 As outlined, there are many possibilities when it comes to the Atlanta Braves outfield, but the reality is that the current collection of players will be a part of the opening day squad. The future will always look different, and hopefully very much so for the Braves’ outfield. As for next year though, anything can happen from a mid-season trade to a callup. The reality is, it will more than likely not look very different from the start of the 2019 season.